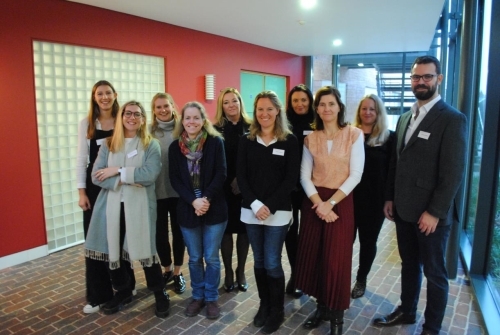 This year's 'Inspiring Lives' careers event built on last year's success, with nine speakers from the QM Family visiting QM to share their experience and advice with girls from Years IV - UVI. The afternoon began with an inspiring talk from our Keynote Speaker Charlotte Spence, one of the world's leading CrossFit champions. The girls were then given the opportunity to attend four separate sessions covering topics from Creative Industries to Medicine and Pharmaceuticals. "It has given me further insight on the jobs out there and it has helped me narrow down my options significantly." "It was very useful and I have gained more knowledge about a careers I am interested in." "It has made me less worried about not knowing exactly what I want to do as a career yet." If you would like to get involved in the growing Careers network at QM and would be happy to attend similar events in the future, please get in touch at development@queenmargarets.com.